FACTORY POWER STEERING PUMP, PULLEY & BRACKET ASSEMBLY. 2004 - 2007 CADILLAC CTS 2.8L 3.6L. 2004 - 2007 CADILLAC CTS -- 3.6L or 2.8L. Factory original OEM part. Check interchange and fit before purchasing. Model: CADILLAC SRX. CADILLAC SRX 10-11 3.0L. CADILLAC SRX 12-16. 3.6l Power Steering Pump Motor W/ Pulley Oem. Venice, FL. 1993 ALLANTE, 1994-1999 DEVILLE 4.6L, 1993-1999 ELDORADO 4.6L, 1993-1997 SEVILLE 1993-1997 4.6L, AURORA. ALLANTE 93. ELDORADO 93 8-279 (4.6L). ELDORADO 94-99. DEVILLE 94-95 Concours. SEVILLE 93 8-279 (4.6L). Off a 2004 Cadillac Deville. We want you to be 100% happy with your order. 1997 Cadillac Catera 41219. CATERA 97-01. - The third level quality part. - The second level quality part. It is of average miles and normal condition for its age. - The highest quality part. It is of low miles and/or exceptional condition for its age. 3.6l Power Steering Fluid Reservior Tank Bottle Oem 10-16. Model: CADILLAC SRX. This was removed from a 2004 Cadillac CTS with a 3.6L it's the power steering pump and it's in good condition. The pulley is included unless it states "- pulley" below. No reservoir included. CTS 2005 -2007 2.8L. CTS 2004 -2007 3.6L. There may be differences between the engine size or steering options. Our goal is to eliminate any surprises upon arrival. LKQ SKU: LKQ312 ~200434260 SPM01115. This is NOT a manufacturer part number, and can be disregarded. We do our best to prevent these issues from happening and apologize for any inconvenience it may cause. Off a 2004 Cadillac Deville. AND FROM 2007-2009. HAVE BEEN TESTED AND OR INSPECTED. SEE THE PICTURES CAREFULLY . SEE PICS FOR DETAILS. TO NORMAL DAILY USE. EXACTLY AS PICTURED. SEE PICTURES CAREFULLY. POWER STEERING PUMP 2005-2011 05-11 CADILLAC STS 3.6L, WORKS GREAT! Model: SRX Performance FWD. Make: Cadillac. Year: 2011. Pick up at our facilities is available. Item has been well maintained. Vehicle Model: CTS. Vehicle Make: CADILLAC. Vehicle Year: 2007. manual, power etc. We do try to respond. - The item has "small scratches" or "normal wear" due to the fact that these are used parts. SEVILLE 98-04. Your premiumPower Steering Pump will be boxed and padded for protection. DEVILLE 98 (8-279, 4.6L), VIN Y (8th digit), w/engine cooler. AURORA 02 4.0L. DEVILLE 99 base. All parts you see in the vehicle pics are for sale. 2007 Cadillac DTS. Quality first! Communication is essential. We are here for you! Having profound knowledge in cars you can be assured in our competency and accuracy! Hawaii, Alaska, Puerto Rico is not free. Coupe Deville Seville Convertible 1967 Cadillac Coupe Deville Lower Intake Manifold O EM Caddy 67 429 CI. This fits a 1967 Cadillac Coupe Deville, Seville, and Convertible. This is a previously installed part with minor signs of wear, but overall part is in good condition for being 65 years old!
. SEE THE PICTURES CAREFULLY . SEE PICS FOR DETAILS. TO NORMAL DAILY USE. HAVE BEEN TESTED AND OR INSPECTED. EXACTLY AS PICTURED. SEE PICTURES CAREFULLY. LKQ SKU: LKQ762 ~195558836 SPM00161. This is NOT a manufacturer part number, and can be disregarded. Cadillac Escalade ESV 2007-2013. Cadillac Escalade ESV 2014-2014. Cadillac Escalade EXT 2007-2013. LKQ SKU: LKQ842 ~207421095 SPM00958. This is NOT a manufacturer part number, and can be disregarded. We do our best to prevent these issues from happening and apologize for any inconvenience it may cause. 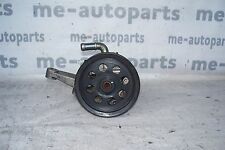 (Used,Dirty) CADILLAC DEVILLE NORTHSTAR 4.6L 8CYL Power Steering Pump Pully Pulley Reservoir Bottle Cap. DEVILLE 00-05. DEVILLE 98 (8-279, 4.6L), VIN Y, w/engine cooler. Power Steering Pump. AURORA 02 4.0L. CTS 2014 -2014 Cpe, Base, RWD. CTS 2009 -2009 Base, RWD. CTS 2008 -2008 RWD. CTS 2011 -2013 Base, RWD. CTS 2014 -2014 SW, Base, RWD. The pulley is included unless it states "- pulley" below. No reservoir included. Cadillac Deville 1999-1999 w/o Limo & Hearse Pkg. Cadillac Deville 2000-2005. Cadillac Deville 1998-1998 (8-279, 4.6L), VIN Y, w/eng cooler. Vehicle Model: Deville. Part # or Vehicle Model: Deville. Cadillac Seville 1998-2004. Cadillac CTS. Quality first! Communication is essential. We are here for you! Having profound knowledge in cars you can be assured in our competency and accuracy! Hawaii, Alaska, Puerto Rico is not free. CADILLAC CTS [STEERING_PUMP] 03. Model: CTS. 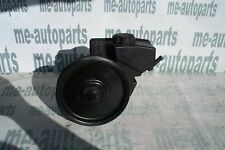 CTS 2003 -2003. also fits the following models:CTS 2004 -2004 2.6L. CTS 2004 -2004 3.2L. Year: 2003. 2003 CADILLAC SEVILLE STS. OEM POWER STEERING PRESSURE LINE. What you see in the picture is what you will be receiving. THIS IS A USED PART. IT WILL SHOW SIGNS OF WEAR SUCH AS SCUFFS AND SCRATCHES. LKQ SKU: LKQ706 ~212694548 SPM00958. This is NOT a manufacturer part number, and can be disregarded. We do our best to prevent these issues from happening and apologize for any inconvenience it may cause. LKQ SKU: LKQ130 ~207005367 SPM01097. This is NOT a manufacturer part number, and can be disregarded. We do our best to prevent these issues from happening and apologize for any inconvenience it may cause.